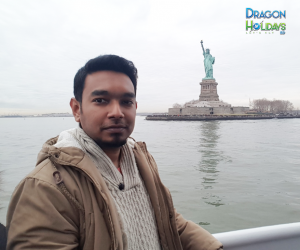 Dragon Holidays BD is one of the best travel agencies in Bangladesh. We provide expert tourist Visa processing, cheap flights from Bangladesh, best tour packages, best price for hotel booking and other travel services. We do what we say without compromising on service quality. Our renowned visa processing division is supervised by expert visa processors for USA, UK, Australia, Europe, Schengen, HongKong, Russia among other countries. It is only when you travel 1000s of miles away from your home country & visit a foreign land you realise how beautiful the world is. How different or similar are its people from you & how they are living their lives. Share your stories & be a part of theirs. Widen your horizon, broaden your mind & become a global citizen.